Fashion week season is hardly halfway over, with London finishing up this week and then moving to Milan and Paris. I’ve already started wearing some of the looks that showed up on the runway in New York— including this easy voluminous style. It’s wavy, it’s glamorous, and it’s relatively quick to pull off! This fashion week hair tutorial was inspired by the DVF S/S 16 show (which featured anybody who’s ANYBODY on the runway), showcasing bright and feminine styles that were carefree but polished. My natural wavy hair is anything but this glamorous, though. 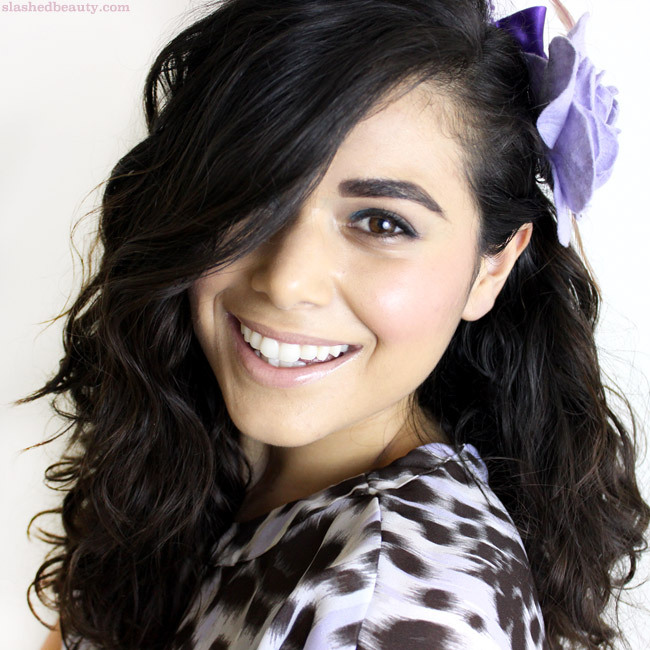 I’ve got waves and curls of all different shapes, going all different directions… plus frizz! 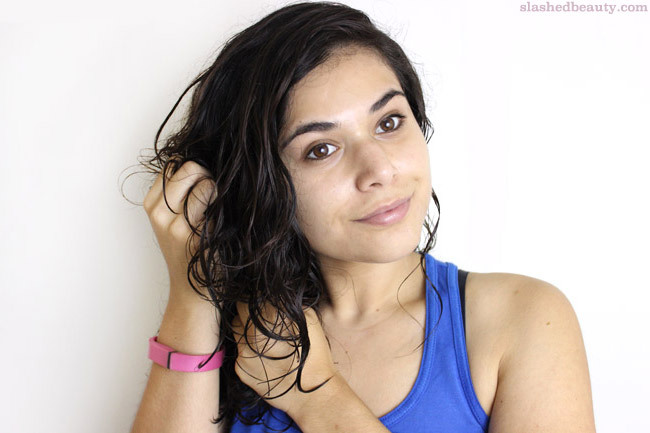 Whether you have naturally crazy/wavy hair like myself, or tame hair you want to spice up, this hairdo is attainable with a few key products and tools. I start out this hairstyle by prepping my damp hair with TRESemme Max the Volume from their new Runway Collection. I pump a generous amount into my hand, then finger comb it through my hair to distribute evenly. Not only does it add a little body to my hair, but also helps moisturize it and leaves it feeling so silky. 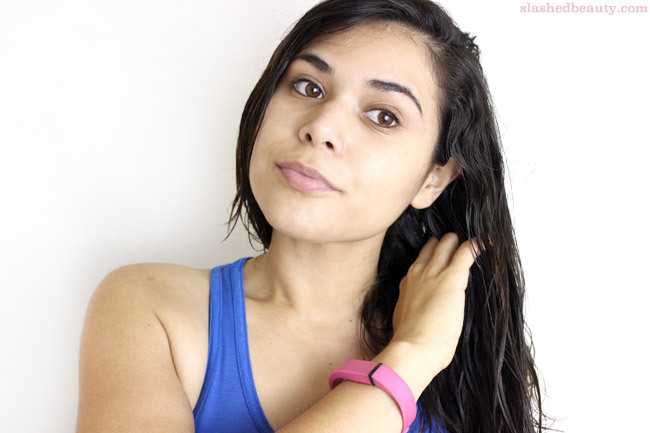 It calms down frizz and is lightweight, so your hair won’t be weighed down. Next, I start making my waves. 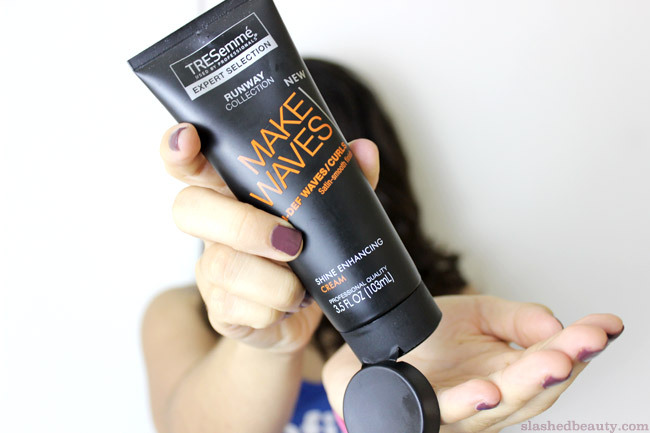 I use the TRESemme Make Waves, also from the Runway Collection, while scrunching my hair. This is key for me to get waves that look uniform and styled instead of haphazard. This is also my second defense again frizz without sacrificing shape, making my waves look more put together. After letting my hair air-dry while parted deeply to the side, I take a 1 1/4 inch curling wand to set my waves where I want them. I mainly focus on the front few pieces, curling toward the back of my head to frame my face with swooping waves. 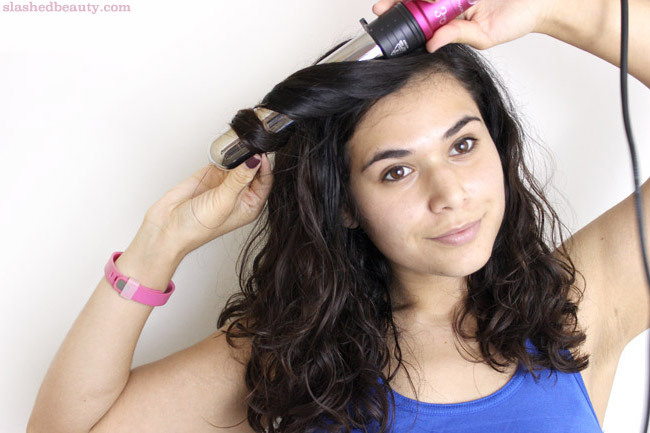 If you have straight hair, use the wand to create your waves throughout your hair. 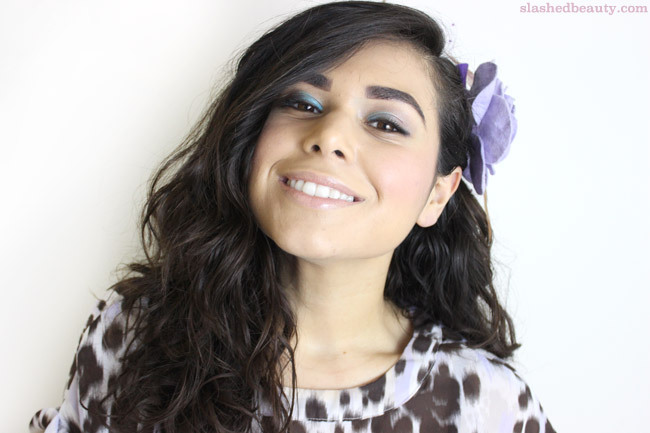 To finish the look, grab some floral pins and pull back the side of your hair under the deep part. Voila! You’re done, and you look fabulous with those voluminous and whimsical waves. 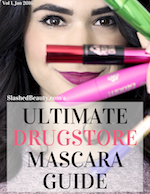 You can grab these and the rest of the TRESemme Runway Collection at Target— and if you buy any four products from the brand before 10/31/15, you’ll get a free $5 Target GiftCard! Free spending money? Yes please! What was your favorite fashion week hairstyle? Very pretty look! Love it! Totally gorgeous- love the pop of purple! I love curling my hair. 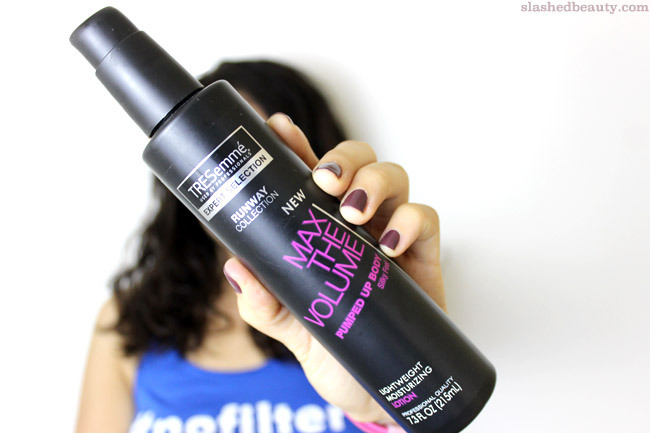 Tresemme is one of my go-to brands for heat styling products. You look great! That is a real blast from the past style. It’s fun to see it come back, it’s so pretty and feminine and fun. wow, you look terrific!! I love your hair like this. You make it look really easy….I just might try it! You could do a hair commercial! The whole look is pretty amazing! I LOVE that mint eyeshadow look! Your hair looks fabulous too. I love this look on you so much! Great tutorial! Such a fun look, great recreation! Love this look on you! You have great hair! This looks so pretty on you. I’d love to have such beautiful hair. Omg you look beautiful! 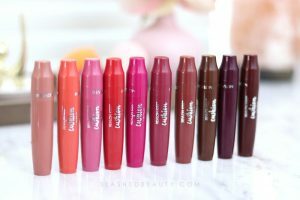 Your hair looks amazing, your makeup looks amazing… Great post! I’m always so obsessed with the things you do to your hair! You really know how to work it! Beautiful!